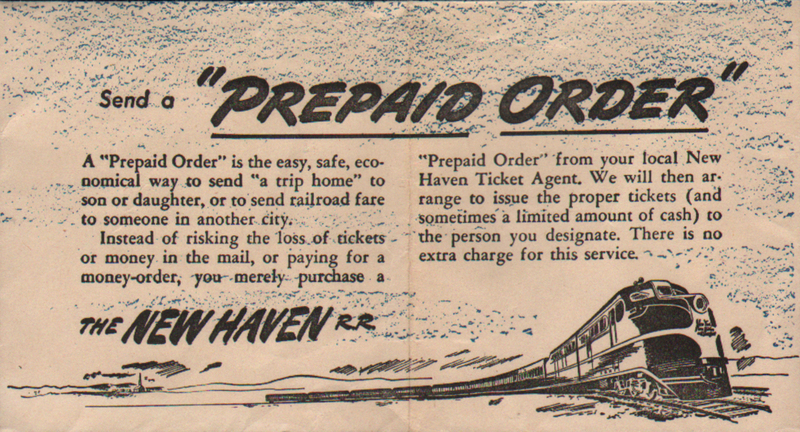 Send a "Prepaid Order" The New Haven R.R. Description The New York, New Haven & Hartford Railroad (NYNH&H) Form 26 Ticket Envelope advertising to send a Prepaid Order - which is a easy, safe, economical was to send "a trip home" to son or daughter, or to send railroad fare to someone in another city. 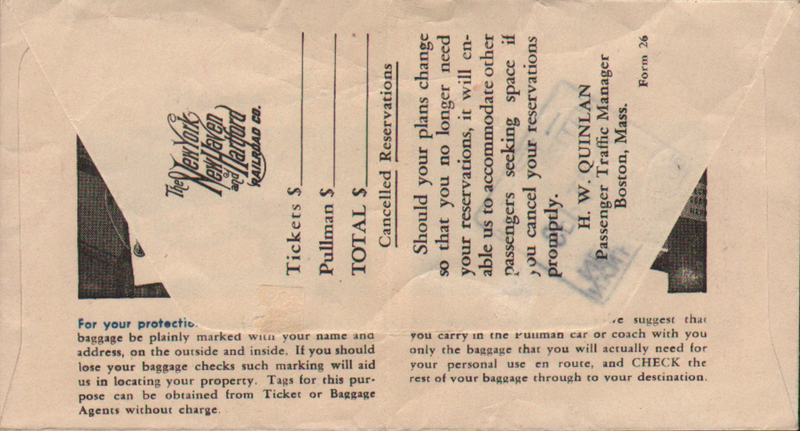 Stamped for a trip on September 15, 1947. 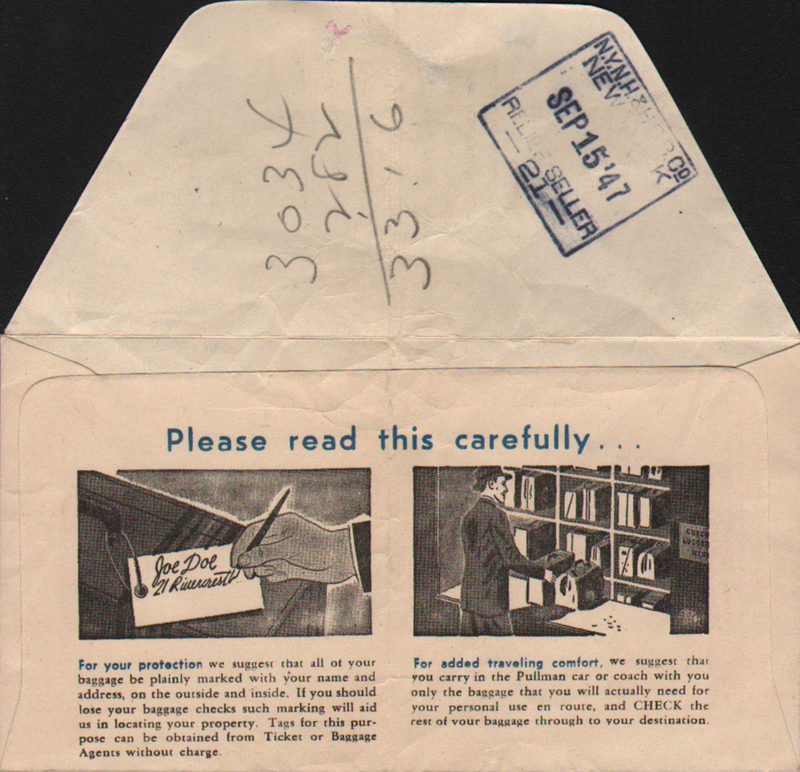 Has been folded in half.